Cute Sandals for Ten Bucks! 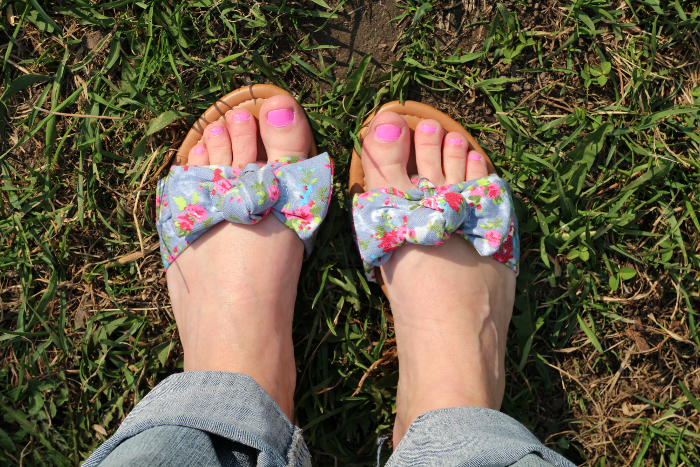 I received these cute sandals from Sandalup via Amazon �and after waiting a few days for it to finally be warm enough to wear them, I did and they are so cute. I opted for the blue floral but am wanting a pair in white now. I love how I can just slip my foot in them and go out the door. It’s nice not to have to fiddle with buckles n’ things every time I want to leave the house. They are very flat with no support so be wary but for ten bucks they are more than great with good reviews. I am happy with these light weight Women’s casual sandals and will be wearing these to the beach this summer for sure. For an easy to wear, cute pair of sandals you can’t go wrong with these. I received free or discounted product in exchange for providing an unbiased review.